Chinese phone-makers Intex has launched the Intex Aqua View, which is the company’s latest smartphone in the Aqua series. This device is unique in that it comes with a free Eyelet VR Cardboard that is based on Google’s highly successful Google Cardboard version 2. The Virtual Reality Cardboard which accompanies the Aqua View has 34 mm lenses and supports smartphones of screen up to 6-inches. The Intex Aqua View sports an exquisite 5-inch HD 2.5D curved touchscreen display. 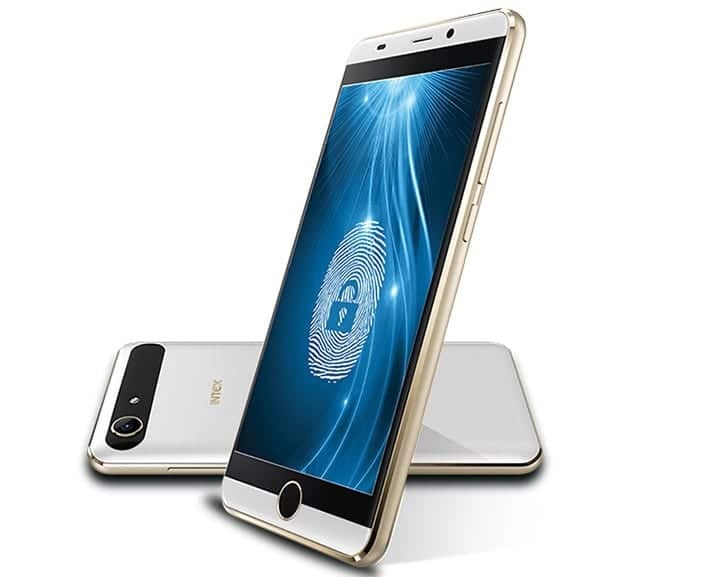 The smartphone also features a fingerprint sensor and also comes with 4G LTE connectivity. The entire devices tags along a dimension of 124 x 64 x 10.33mm and weighs 146g. The Intex Aqua View boots Android 5.1 Lollipop out-of-the-box and is powered by a 1GHz Quad-core Mediatek MT6735 processor with Mali-T720 GPU. The device also features 2 GB of RAM and 16 GB of internal memory which can be expanded with an addition of up to 32 GB. In the camera aspect, the Intex Aqua View sports an 8 MP camera with LED flash at the back, while it is a 5 MP affair up front. The device also features a Finger print scanner and yes, a 3.5 mm audio jack which seem to bee disappearing from smartphones of late. The enire device will get its power supply from a 2200mAh battery which is sopmewhat disappointing, considering the fact that the Intex Aqua View comes with a VR headset. The number of hours of video viewing the device will allow before it shuts down because of low battery doesn’t offer any bright prospect with this one. The Intex Aqua View comes in Grey and White and Champagne colors and is priced at Rs. 8,999 ($199.98) which is about 40,000 Naira in Nigeria. And don’t forget you get a free Eyelet VR Cardboard along with the phone.